Adhering to workplace safety protocols will cut your workers’ compensation claim costs in the long run. As well as render you being on good terms with auditors who can impose hefty fines in cases of WSH breeches. But at the end of the day, as a responsible employer, you want your employees to get home safe. So, making sure they always wear personal protective equipment is head of the line. Coverall uniforms are no exception. Wearing them is vitally important for minimising the risk of workplace injuries. And for obeying the law as well. Now let’s take a look at some serious reasons why you should toe the line and make sure your workers wear this highly durable gear. Examining your PPE is one of the ways to benchmark your safety standards. So, stop and re-evaluate. Are your workers wearing their coveralls in all situations that call for it? Are they aware of the dangers they’re putting themselves in if they don’t? Is your company buckled up for safety? It’s time for a reality check. In 2017, Singapore recorded 42 workplace fatal injury cases and 12,498 non-fatal ones. A large number of these injuries could have been prevented by using PPE including coverall uniforms. Non-compliance issues stem for various reasons. Ranging from inadequate supervision to a feeling of discomfort and poor awareness. That’s where some education steps in to beat the statistics and lower the numbers. 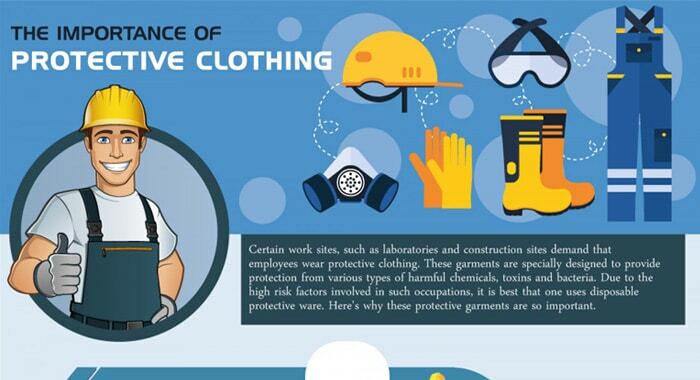 If your employees know the risks and get proper training on the use of PPE, they’ll be more likely to use it. Risks of heat and fire are identified as workplace hazards. You should use coveralls made of heat-resistant material. They are designed to withstand heat and resist burning. This highly protective clothing will help reduce bodily injury during fire incidents. Heat-resistant boiler suits are a strong last line of defence against heat and fire as they protect the entire body from overheating and burns. Also, there are heavyweight cotton drill fabric suits that are designed for hot and humid environments. They are an absolute must for people working around flammable materials, in welding or metal casting industries etc. 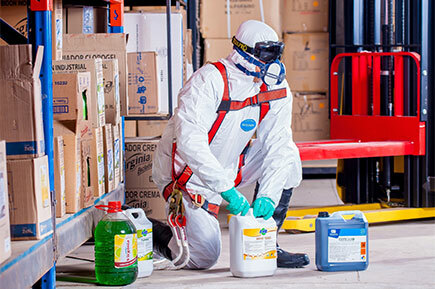 Working around chemicals and dangerous substances demand wearing PPE that is chemically impermeable. Some workplaces require the use of respiratory masks and safety glasses. Yet, one-piece suits are also a mandatory piece of gear that safeguard human skin from close contact with toxic chemicals. Heavy metals, such as mercury, lead, cadmium, and aluminium. A study was conducted in 2013 analysing work-related chemical exposure incidents in Singapore. It shows that the construction and manufacturing industries (47%) are the most affected. So, targeted prevention is critical for specific worker populations who are at the highest risk of chemical hazards. The risk is also present at workplaces such as chemical laboratories. As well as workplaces with exposure to chemical or metal splashes or sprays from pressure leaks or spray guns. Working in harsh weather conditions can have harmful and even fatal consequences. And outdoor workers can sometimes face the risks of hypothermia, frostbite, etc. Boiler suits are ideal to protect against adverse weather and temperature extremes. This durable, effective outdoor gear keeps the skin dry, warm and comfortable. Since they’re worn over street clothes, they keep them from being soaked, damaged or stained. Aside from using protective clothing, outdoor workers need to have controlled physical activity and exposure to cold. So they need to moderate the intensity of activities and take frequent breaks. And as for the boiler suits, workers should use them when the temperature dips below 4°C. Wondering how to choose between the types of suits? Weather conditions, activity duration and job design should all be taken into account. Wet conditions require waterproof coveralls to stay dry while performing the work activity. Yet, bear in mind the suits shouldn’t restrain movement. Your workers should be able to do their work more safely but still remain comfortable. Geodesists, research geologists, rescue teams, fishermen and oil rig workers often use this type of coveralls. There is special industrial workwear that boasts its highly reflective properties. They can help the human eye discern more easily between the person and the background. The so-called high-visibility clothing is usually a combination of fluorescent material and a reflective tape added to it. Specially-shaped optical units are added to the material of safety vests, jackets and pants for increased daytime visibility. This retroreflective material then reflects the sun’s UV rays directly and make garments appear as if they’re glowing. Lime green, orange, and red are the colours of choice for high brightness vests and coveralls. They can be often seen on road and airport workers, fisherman and emergency services. And are used to prevent accidents near moving vehicles or in dark environments. To put it simply, protective coverall uniforms can help mitigate risks from workplace injuries in different working environments and with different workplace hazards. Real-life stories of workplace accidents we hear every now and then bring home the importance of good safety management and wearing PPE. Moreover, meeting high workplace safety standards will not only take care of your employees and your wallet, but also demonstrate your integrity as an employer. Alsco Singapore is here to assist you to with this. 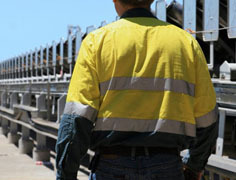 We offer coveralls to suit any work environment. And if you want to cover yourself against large upfront PPE investments we can help you with this too. 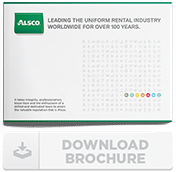 Alsco Singapore’s Managed Rental Service of industrial workwear is the ideal cost-effective alternative to buying. Heavy and lightweight, fire retardant, and smoulder proof uniforms. Different sizes. Starting from just $1 a day, choose from our wide range of coverall colours and styles. When you soil them, we’ll pick them up and deliver new stack straight to your door. Spotless, sterilized and 100% compliant. Call us now and chat with our friendly staff. We’re sure we’ll have something to fit your requirements.